Our power tool buying guides let you research, shop and compare products. You can see our recommendations for the best power tools or even check out our tool shootouts where we compare dozens of the latest and greatest power tools, hand tools, and pneumatic air tools from every major brand and manufacturer. We’re frequently asked the question: Which tool should I buy? 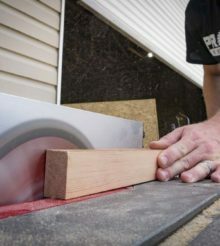 It doesn’t matter if its an 18V cordless hammer drill, 18V impact driver, or a 7-1/4″ cordless circular saw—people want to know who makes the best tool and which are going to perform the best. We’ve assembled some too buying guides, gift guides and helpful tool comparison grids to make the process of choosing the best tool an easier one. Check out the tool buying guides below, and learn which tools present the most torque, the highest cutting or driving speeds, and the best values in the industry. For those interested in understanding who provides the best value, performance, and features, our power tool buying guides are the perfect place to start. Hopefully these tool buying guides and tool gift guides will give you a good idea of the latest tools as well as some more information on who provides the most power, the longest-running, and the most feature-rich tools. Plus, we’ll give you pricing and value information, so you understand who provides the best bang for the buck in the industry.